Klabater and Born Lucky Games have announced that Roarr! The Adventures of Rampage Rex is now available on Nintendo Switch. 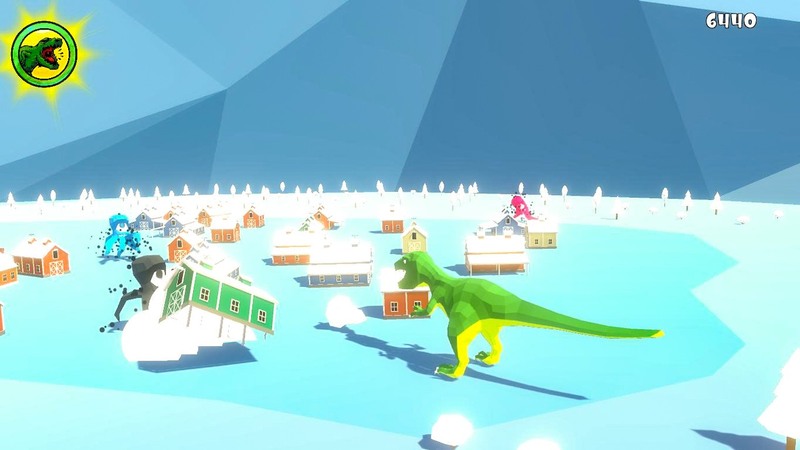 With the promise that it “will make Jurassic Park look like some fairy tale for kids,” this modern take on classic brawler gameplay revolves around a tongue-in-cheek story. When aliens invade Earth and overwhelm the human race, Rex is woken from his hibernation and decides to give them a piece of his mind. There are terrifying bosses, 25 different enemy types and six different islands to explore, with the chance for up to four players to stomp around causing destruction together. “We do believe that in the era of grandiose blockbusters, many players miss the good old times when games were challenging, yet quite accessible and incredibly fun just from the very first minute of playing,” explains Klabater CEO Michal Gembicki. Roarr! The Adventures of Rampage Rex is now available on the Nintendo eShop for Nintendo Switch worldwide.